Who says websites have to be plain? liveBooks offers a rich selection of design options to make your website stand out from the crowd. You don’t have to re-work your entire site to add some visual excitement. Carousel slideshows and parallax scrolling are just two features that can give your website a fun, modern aesthetic. Our customers love to make their pages look amazing! Looking for a fun new way to display images? 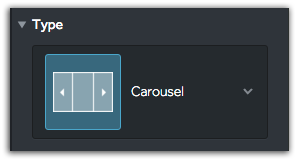 Check out the Carousel slideshow, one of our 8 image gallery layout types we have for you to choose from. Watch your images smoothly shift along a horizontal path with the Carousel slideshow. Choose a high definition background image of your choice and turn on Parallax scrolling for a dynamic effect. 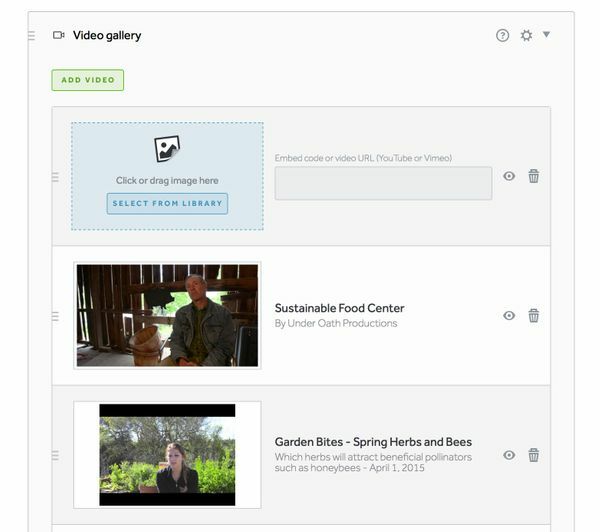 The background will glide below your floating content as you scroll up and down your webpages. If you are looking for a great new feature that liveBooks has yet to adopt, feel free to reach out and provide feedback! Keep your eye out on new features and updates we will be adding throughout the new year. How’re You Doing!? Monitor Your Site Traffic in Real Time! Do you want to see how your website is performing but don’t want to navigate through the mazes of Google Analytics and other reporting services? Quickly check your website’s traffic right from your liveBooks dashboard. You can also see what devices your viewers use to browse your website. 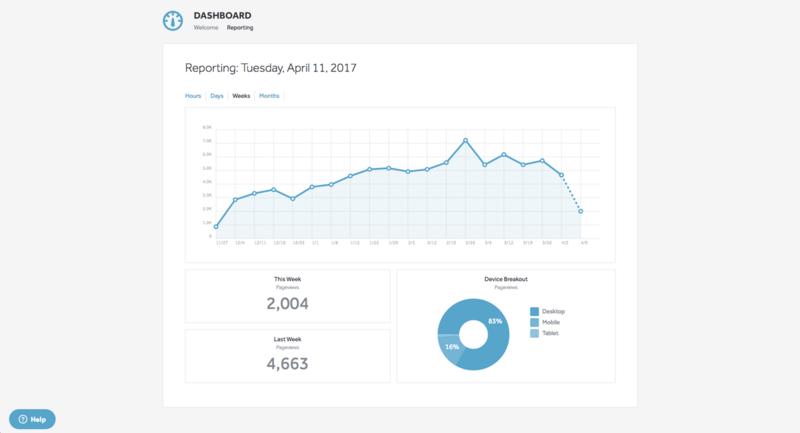 Best of all, there’s no code to implement this new reporting functionality – we’ve already set it up for you. Simply click on the reporting tab within the dashboard overview page. From there, you’ll see your unique website’s stats automatically. At liveBooks, we make it easy for you to design a professional, mobile-friendly, and secure website. In fact, all liveBooks websites include a free SSL certificate. Read on to learn more about SSL web hosting and HTTPS, and discover the benefits it can provide website owners and visitors alike. SSL (Secure Sockets Layer) creates a private session between a web browser and a website. During the session, the browser and the website use a cipher to encrypt data before sending it to the other party. The website, and the browser being used to view it, use a decryption key to decipher the data. Without the key, the data looks like a random jumble of letters, numbers and symbols. What Are the Benefits of SSL Web Hosting? SSL creates a safer web browsing experience, which is a great thing for you and your website’s users, especially if your website gathers personal information such as credit card information, phone numbers, passwords, or medical information. By having SSL you allow your website and the person viewing it to communicate and share data without the possibility of someone intercepting and reading the data. How Does SSL Benefit Users? SSL gives website users security, privacy, and peace of mind when browsing the web and sharing private information. There are many network connections between your computer and the websites that you view. Your computer sends information to your network router. From there, the information travels through your broadband modem, your Internet Service provider and various network backbones and data centers before finally reaching the destination website. At any of these points between the user’s computer and the destination website, a malicious individual could theoretically intercept and read the transferred data. But, if the data is encrypted through SSL, reading it is nearly impossible without the decryption key. How Does SSL Benefit Website Owners? SSL gives website owners an advantage from both a security and SEO standpoint. Analysis of more than 1 million search results supports the conclusion that SSL is a fairly strong ranking factor on Google, and is steadily becoming more important. Having a HTTPS website shows search engines and web users that you value security, which supports Google’s goal of keeping web users safe while browsing the web. Beginning in January 2017, Google Chrome — the most popular web browser for PCs — began displaying a warning at the top of the window when a user viewed a page didn’t support SSL but asked for password or credit card information. Today, a user who views an insecure page that asks for private information will see a prominent “Not Secure” message at the top of the browser window, which may discourage them from purchasing items on your website. Having an SSL-enabled website ensures that your users will never see the “Not Secure” message, and allow visitors to make purchases confidently. Overall, having an HTTPS website may improve your website conversion rates by giving website users a safer website experience.